Note, that before borrowing from Airtel you have to be eligible to borrow. Make sure that you are an active subscriber on Airtel for at least 3 months or (90 days). 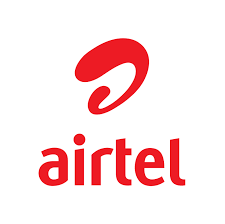 You can borrow from Airtel only if you regularly top up airtime on your AIRTEL line. You cannot recieva a new airtime loan without paying your current airtime or data loan. Note! The that 15% service charge will be deducted from the amount of airtime you borrowed. That is, if you request for N200 credit, your phone will be credited with N170 while N30 goes to Airtel as service charge. Choose the amount of data you want from the option. Borrowing of airtime is also possible. This service is called Airtel Talk Time Advance. You can run out of airtime in the most unexpected moment, so this service gives an opportunity to do urgent calls. So now you know how to borrow data on Airtel Nigeria!